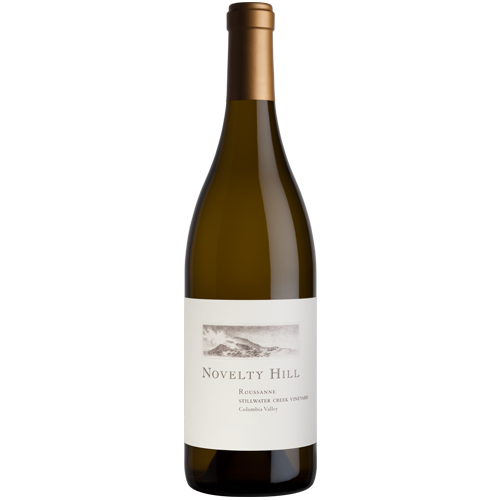 Novelty Hill’s family-owned Stillwater Creek estate vineyard on the Royal Slope of the Frenchman Hills is a warm site known for steep slopes and large pieces of fractured basalt throughout the vineyard. The site’s soil often draws analogies to soil found in the Rhone Valley, perhaps one reason why Roussanne thrive here. The 2017 is a wonderfully aromatic wine with honeyed-peach, fresh pear, and elegant floral aromas and flavors that gain focus on the palate, becoming all the more lovely across a long, expressive finish.